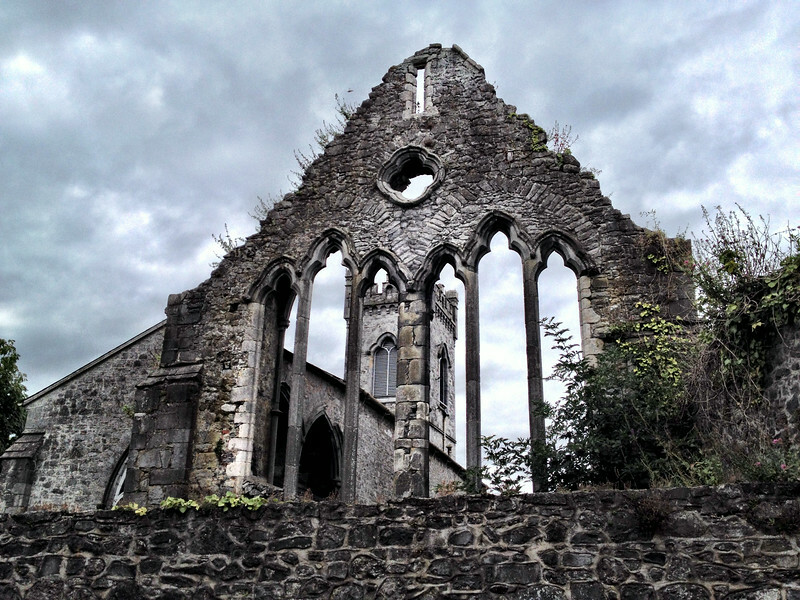 We spent our last weekend in Ireland in the lovely city of Kilkenny (Cill Chainnigh). I can’t believe that we waited 2 years before visiting the “Sunny South East”. Kilkenny is only 230 kilometers away from our former home in rainy Leitrim but what a difference in climate! Despite the clouds in my photos below, the weather was actually warm and sunny throughout the weekend with only one small shower. Just a two hour drive from Dublin (two and a half by bus), the medieval city of Kilkenny is a nice sidetrip from the capital. At the center of the city, along the bank of the Nore River, there is an impressive Anglo-Norman castle dating to the thirteenth century. You can take a tour of the interior of the castle (€6.00 for adults) or just enjoy the castle grounds and formal rose garden for free. 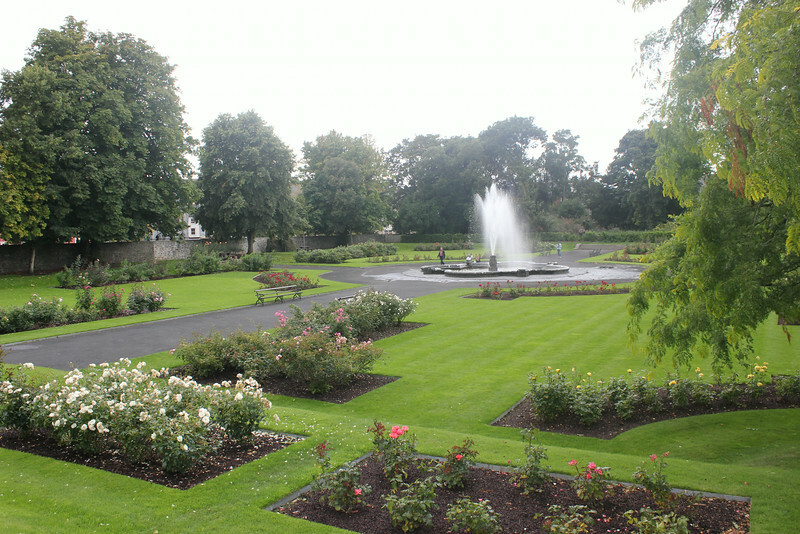 Rose garden at Kilkenny Castle. After your visit to the castle, stop across the street for a pint or a cocktail at the Left Bank Bar. We liked this place so much that we ended up here twice during our trip. This former Bank of Ireland building is now a beautifully designed bar with four floors (not all of them are open during the day) and a covered and heated terrace on the ground floor where smoking is permitted. 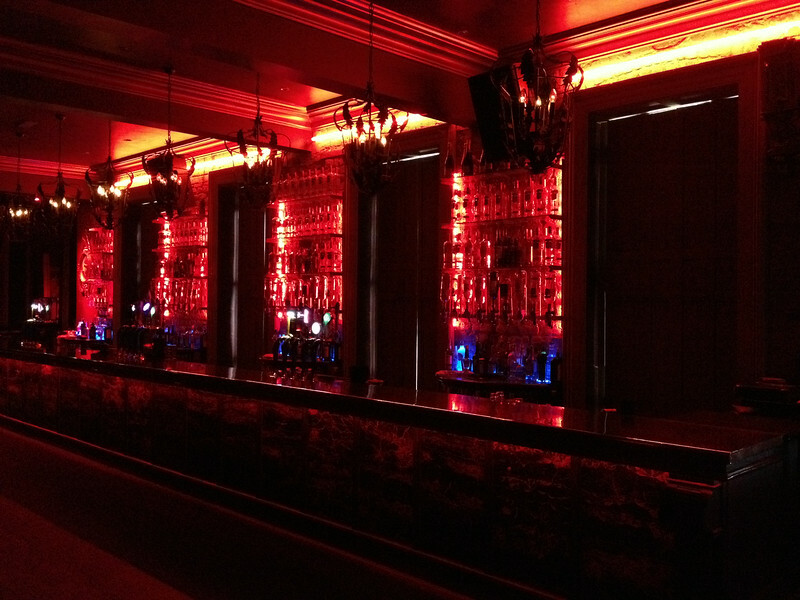 One of the upstairs bars at the Left Bank. The centre of Kilkenny is small and can be covered on foot. There is a good choice of restaurants and pubs in the High Town area near the castle and river. There are also several takeaways and a Dunnes supermarket on St Kierans St if you are on a really tight budget. We had dinner at La Trattoria, an Italian restaurant on John street and I highly recommend it. We saw a lot of interesting looking pubs, some offering traditional Irish music sessions in the evenings, but we didn’t make it out of Biddy Early’s across the street from La Trattoria. It was one of those rare evenings where the baby fell asleep and stayed asleep long enough for us to have a couple of drinks in the outdoor seating area, so we didn’t dare move him to a different location. The inside of Biddy Early’s was very quiet, with only a couple of lads playing pool but we were there very early in the evening because of the baby and it may have picked up later. The bar shares a courtyard patio with the Dylan Whisky Bar next door and from what I could see from where we were sitting, they were packed. 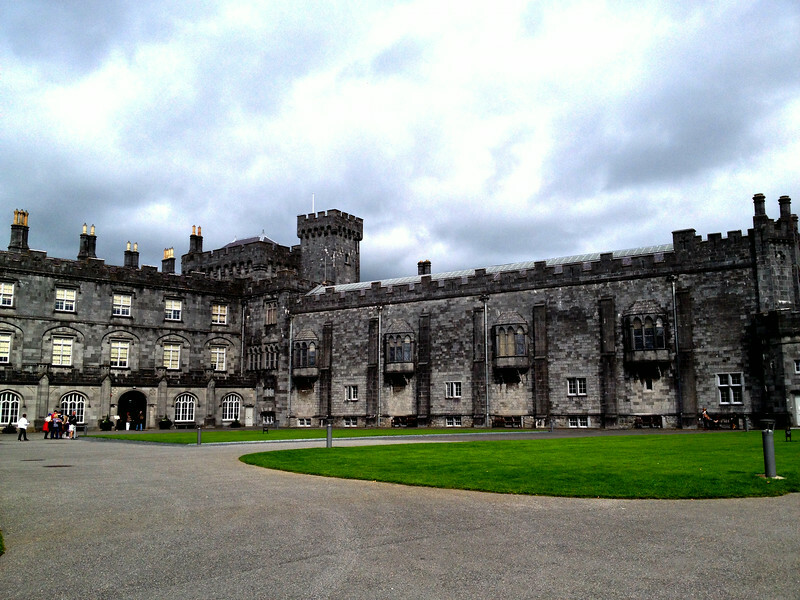 We were primarily in Kilkenny to visit a friend before leaving on our next big trip, so we didn’t have time to see all the sights. We did ask our friend for a couple of restaurant and bar recommendations and those are listed below. Have you been to Kilkenny? Leave a suggestion in the comments on where to go next time we are in town. Kyteler’s Inn established in 1324. The Dylan Whisky Bar 100 different whiskies. Cafe Nostalgia. 65 High Street – €7.95 fry up. Has outdoor seating. Anocht Modern Irish. Recommended by a local. Campagne French. Recommended by a local. My daughter had her reception at the castle and it was unbelievably beautiful! We loved it in Ireland!